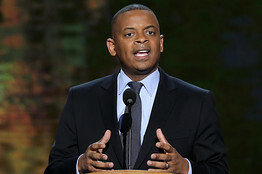 The Obama Administration today nominated Charlotte Mayor Anthony Foxx to head the Department of Transportation, replacing current Secretary Ray Lahood. Foxx has received much praise for his efforts in expanding and improving Charlotte’s transit infrastructure as a way to grow the economy. The post requires Senate approval.